Ligue 1 new coach Thierry Henry identifies Chelsea defender Andreas Christensen as first Monaco signing. The 22-year-old center-back is unhappy with the lack of first-team chances this season at Stamford Bridge overlooked under Maurizio Sarri in the centre of defence in favour of Antonio Rudiger and David Luiz in the Premier League so far, ensuring the Denmark international has featured only in the Europa League and Carabao Cup. Christensen's father confirmed last week that his son may move in January transfer window if he continues to be omitted from the starting lineup by the ex-Napoli boss. 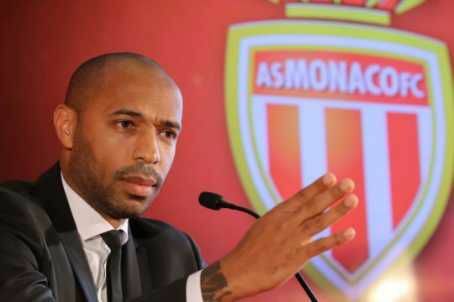 According to Foot Mercato claiming that Henry wants the Blues defender in the winter market after falling off the first team map at Chelsea with dethroned Ligue 1 and former Chelsea football chief Michael Emenalo who initially signed Christensen for the West London outfit. Christensen - whose current contract runs until 2022 - joined spend a two-season stint with Borussia Monchengladbach in the Bundesliga where he made 82 appearances across the two seasons, winning the club’s ‘Player of the Year’ award for his exploits in the 2015/16 campaign.The player was a significant part of the Chelsea squad under Antonio Conte last season, making 27 appearances in the Premier League.